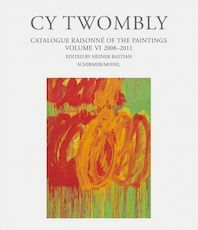 Composed of six volumes, edited by Heiner Bastian, this catalogue raisonné assembles chronologically Cy Twombly’s works on canvas executed between 1948 and 2011. Composed of eight volumes, edited by Nicola Del Roscio, this catalogue raisonné assembles chronologically Cy Twombly’s works on paper. There is also a two-volume publication, edited by Yvon Lambert, that assembles works on paper executed between 1973 and 1982. 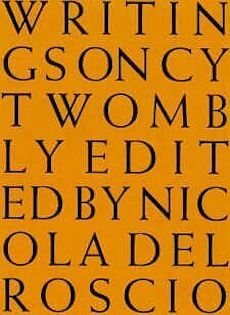 Edited by Nicola Del Roscio, this is the first volume assembling chronologically Cy Twombly’s sculptures from the earliest days of his career until 1997, the year of publication. 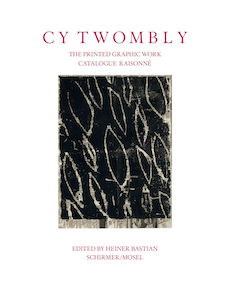 Composed of one volume, edited by Heiner Bastian, this catalogue raisonné assembles chronologically Cy Twombly’s graphic works. There is a prior version of this catalogue that assembles works executed between 1953 and 1984. 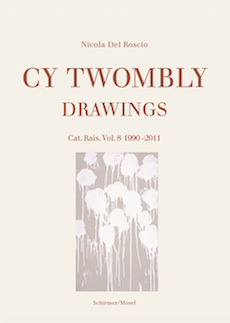 This section lists some of the most significant monographs, exhibition catalogues, and journals dedicated to Cy Twombly’s work dating from the beginning of his career and to the present day.